Or as low as $274.99 per month over 6 months. Apply Now. 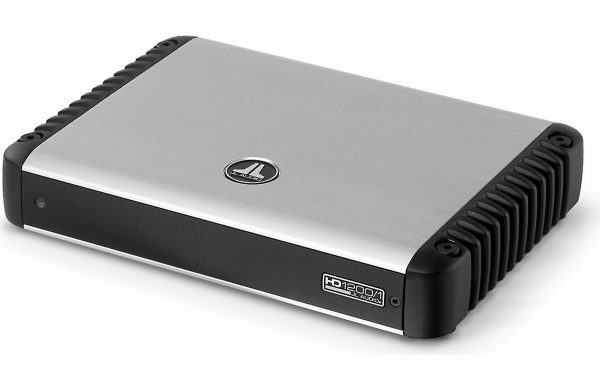 The JL Audio HD1200-1 Mono Subwoofer Amplifier offers steady performance from an ultra-compact chassis. The HD1200-1 mono amplifier pushes up to 1,200 watts RMS to your sub, from a 2″ tall chassis that’s about the size of a sheet of computer paper. The regulated power supply allows this amp to deliver its rated power to a wide range of impedances (from 1.5 to 4 ohms), even when voltage levels drop during heavy use. HD Series amplifiers reproduce your music with exceptional accuracy, so you’ll hear high-fidelity sound even under the most demanding conditions. 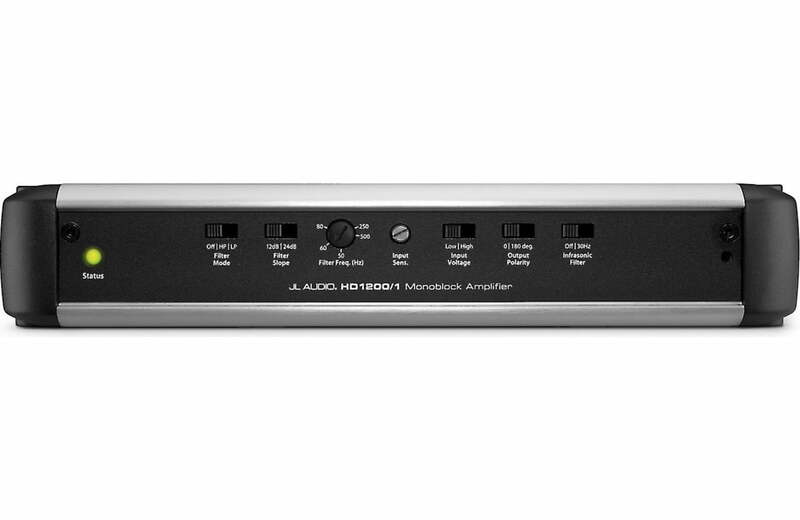 JL Audio uses Single Cycle Control™ technology to eliminate the excessive signal distortion that’s plagued Class D amplifiers in the past. 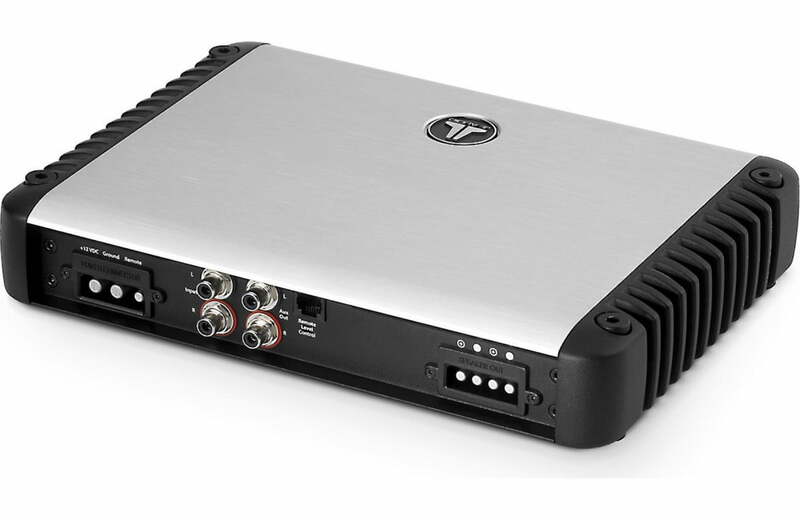 Differential-balanced inputs eliminate noise before it hits the preamp stage, and allow you to connect the amp to just about any in-dash stereo. Translation? You’ll hear clear, true, studio-quality audio, exactly what you expect from JL Audio. This Class D amp uses less power, takes up less space, and generates less heat than traditional amp designs — you can even stack up HD Series amps to create a sweet-looking installation. With the optional wired remote you can control your HD amp’s volume from the front seat. Removable power and speaker plugs make it easy to pop this amp out if you need the space in your cargo area.